Benetti christens Spectre, the latest superyacht built for Jeanette and John Staluppi, the Italo-American tycoon with a passion for James Bond, speed and technology. 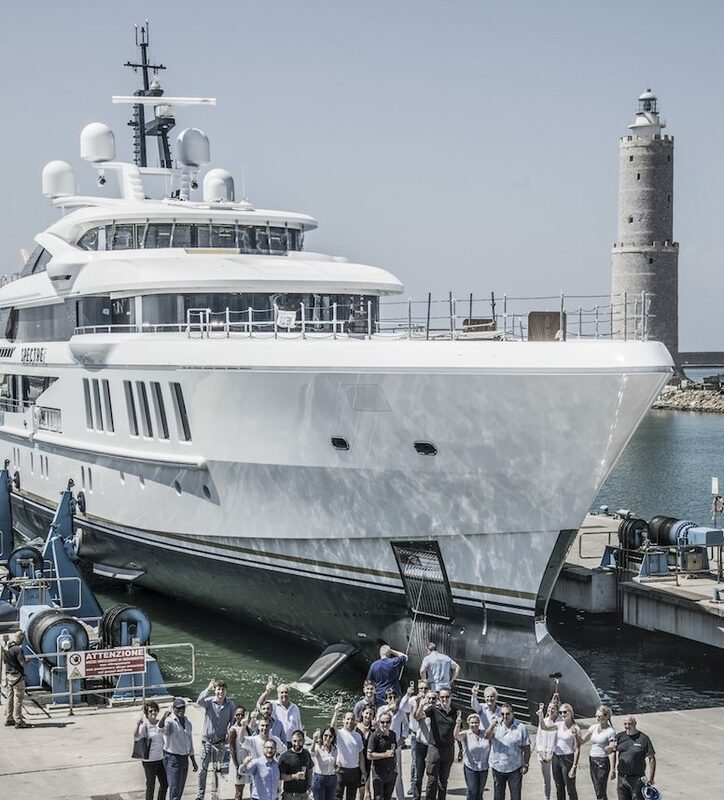 After Quantum of Solace and Diamonds Are Forever, Spectre is the third yacht launched by Benetti for talented New York businessman John Staluppi. Spectre is a 69-metre full custom superyacht with a steel hull and an aluminium superstructure on five decks. The interior is designed by Benetti’s Interior Style Department, while the contemporary exterior contours are designed by Giorgio M. Cassetta. The plans for this original boat were developed around the latest marine technologies and combining different styles and philosophies of interior decoration, with references to the past mixed with modern details. Spectre features a swimming pool and a ‘touch and go’ helipad. Accommodating 12 guests, the layout features two owner’s cabins, two VIP cabins on the Main Deck and two guest cabins on the lower deck. Spectre is fitted with Ride Control technology by Naiad Dynamics, representing an absolute novelty for this type of boat. The system significantly increases stability during navigation and improves comfort on board with the help of four stabilising fins and three vertically-adjustable blades. The lines of the Hi-Speed Cruising Hull, designed by Dutch firm Mulder Design, deliver maximum navigation efficiency, with a range of 6,500 nautical miles at 12 knots and a top speed of 21.2 knots, 30% more than a traditional displacement hull.